The Golden Gophers continue to mine their home turf, picking up one of the the top in-state sprint prospects in East Ridge's James Tidd. 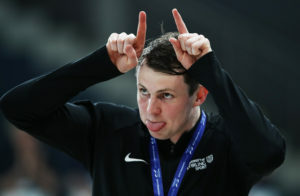 The Minnesota Golden Gopher men got their second verbal commitment of the season, picking up Minnesota’s 50 freestyle state champ James Tidd. 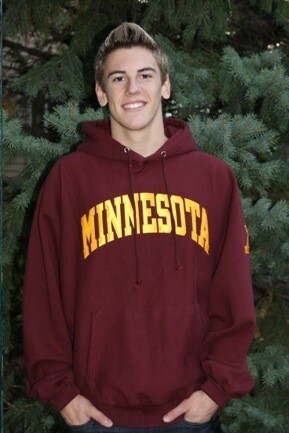 Tidd swims for East Ridge High School out of Woodbury, Minnesota, just a short drive from the University of Minnesota campus he’ll move to next fall. He won state titles in the 50 free, 200 medley and 400 free relays last winter. “The top notch Biomedical Engineering Program, team camaraderie, the genuine coaching staff, and Minnesota’s strong sprint history easily won me over,” Tidd told SwimSwam Thursday night. 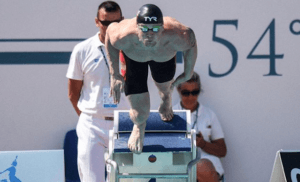 Tidd is coming off a big summer for the Southeast Metro Sharks – he went 23.57 in the long course 50 meter free, which might be his most impressive swim yet. The Gophers are well-known for churning out elite sprinters, including former multi-time Big Ten champ Michael Richards and more recently Big Ten record-holder and current pro Derek Toomey. Tidd now joins a young sprint group that had three freshman split 19.6 or better on the 200 free relay last spring – Ian Gordon (19.38), Daryl Turner (19.67) and Paul Fair (19.62). This continues the trend for Minnesota of recruiting very well within their home-state borders. Already the women have picked up two of the top in-state recruits in Kaia Grobe and Chantal Nack. The men got a verbal from California distance man Michael Messner a few days ago. Dennis Dale coached Mike Richards & Derek Toomey. Dennis is now coaching at Indiana. The Gopher’s are doing a great recruiting job! A local sprinter for Steve Miller and a distance freestyler from a source tapped into by Kelly. Congratulations gentleman, you have joined a rising program with great coaching at a well respected academic institution.